Today’s post acts as a sequel to a previous post here in Financial Regulation Matters that was concerned with ‘Public Finance Initiatives’, or PFIs for short. In that first post, the PFIs were established as a good idea captured by private greed, ultimately posing a great threat to society at a time where greed can have generational consequences over and above that caused by the Financial Crisis. The focus of the post was on the cross-party support for these initiatives, with their output being vastly overvalued and the tab being taken on the by the citizens of the U.K. However, in this post, we will look at the PFI issue from within the confines of tax, or more precisely the lack of it, that is derived from these initiatives. However, there is something important that needs to be declared before the post continues, and that is that this post does not aim to fall in line with a certain political party’s denouncement of all things private i.e. the current incarnation of the Labour Party, as their anti-privatisation standpoint seems to be a convenient whitewashing of the party’s role in their creation in the first place, irrespective of whether one labels the party ‘New Labour’ or otherwise. With that being established, there is also the need to point out that this post need not go into the intricacies of what a PFI is and what it is supposed to do, as the first post covered these aspects via direct analysis or reference. Yet, whilst the first post made reference to vast overvaluing occurring in the sector, and the dominance enjoyed by these companies, recent news suggests that there is another distasteful and revealing aspect to the sector, in that five large PFI firms avoided paying (or paying nominal amounts) tax during a five-year period, despite making almost £2 billion in profit. The BBC, no less, reported that these offshore companies are currently on a buying spree with regards to PFIs and their projects, with nine offshore companies owning, majoritively, 45% of the total amount of current projects in the U.K. – there are currently 735 projects. Furthermore, socially-central institutions like schools and hospitals account for over two-thirds of these companies’ investment, signalling the move to intrinsically interweave themselves within British society (and many other societies). Countering these figures, one leading PFI company suggested that the figures do not take into account that the companies’ subsidiaries pay tax, as do their shareholders, but the fact remains that offshore PFI companies are making incredible profits with extraordinary rates of return – figures as high as 28% have been widely quoted. Yet, the figures highlight issues that closer analyses reveal in all their gory detail. One example of this is University College London Hospital’s NHS Foundation Trust, which is complaining that its current levels of debt, debt owed to a PFI, is unsustainable based upon increased rates of interest like 7 to 8%. In Scotland, a PFI exodus to offshore jurisdictions has been noted, with the effect being that now 19 of 42 projects are wholly owned by offshore PFIs based in placed like Jersey, Guernsey, and Luxembourg – the other 23 are at least 50% owned by offshore PFI companies. Yet, whilst these issues could be discussed at length, based upon a number of examples, it is perhaps more useful to peak behind the curtain and ask more abstract questions, like who is it investing in these PFIs anyway? The reality of the situation should lead to a moment of self-reflection. Whilst there is a general understanding that populist thought is negative with regards to the PFIs and the profits they are making, analysis in the Financial Times suggests that large pension funds are the biggest investors in these initiatives, chasing the highest returns whilst remaining within their regulatory-imposed boundaries. One leading pension fund – Aberdeen Standard Investments – holds involvement in at least 60 PFIs across the U.K. This relationship between leading pension funds and PFIs was a slow-burner to begin with, despite the Government creating the ‘Pensions Infrastructure Platform’ in 2012, but recent data suggests a growing relationship between the two entities. Also, the pension funds of leading employers within the U.K., including companies like the BBC, Tesco, and BAE, recently lost a case when they tried to sue a PFI for liability of fund managers, ultimately suggesting that the investment in PFIs is social, rather than sector-dependent. So what does this tell us? Ultimately, these issues reveal one particular dynamic that will not be discussed on any panel show or review of the morning’s papers – the average citizen is always caught in the crossfire of high finance. This dynamic revealed by PFIs suggests that citizens, who by and large are also employees, pay into their pension pots every month, which is then used to invest in projects that excessively extract money from the projects those same citizens pay for in their state-mandated taxes; so, the insecurity that comes with old age is being monetised and extracted from those who feel insecure, based upon conservative figures that suggest the pensionable age will continue to rise and rise. However, the opposing argument is that it is those employees who must take some responsibility and act accordingly. The different number of takes on this issues suggests that finding a solution, for the good of society, will not be forthcoming, because the balance between collective benefits and personal benefits has long been weighted towards the latter, which is something parties like the Labour Party are suggesting they are trying to address, mostly in order to differentiate themselves from the Party in power – yet, one of the main reasons why personal benefits trump collective benefits may be exactly this change in sentiment; how can the public be expected to believe a party that played perhaps the most crucial role in creating these PFIs? They cannot, and they will not, as demonstrated by a widespread and growing distrust of political systems, which will only ever have one consequence – increasing individualism, which is fuel to high finance. Today’s post can be seen as somewhat of a ‘round-up’ of recent news concerning the Financial Conduct Authority (FCA). With the FCA featuring considerably in the news recently – amid the obvious cries of ‘what’s new!’ – it is worth discussing these particular elements for the purpose of asking some abstract, potential philosophical questions like ‘what is the role of the regulator in reality?’. The FCA has figured heavily already here in Financial Regulation Matters, particularly in relation to the regulator’s actions with regards to the ever-increasing debt bubble, and also the conduct of RBS a. in general and b. in relation to the ‘controversial’ i.e. potentially criminal ‘Global Restructuring Group’ and its systemic destruction of many small businesses. So, in furtherance of these analyses, the following provides ‘updates’, for want of a better term, to the developing progression of the FCA as a leading regulator in the U.K. There are a number of stories recently that the FCA, no doubt, will view as ‘positive’ or, at least, potentially positive in terms of achieving a result which fits their mandate of consumer protection, so let us start with those first. The first point of call is the news today that the FCA has ordered BrightHouse, one of the leading ‘rent-to-own’ retailers in the U.K., to pay almost £15 million to consumers on the basis that it had not acted as a ‘responsible lender’ since 2010. Speaking today on a National radio station (found here – the interview begins at 1 hour 38 minutes in), the Chief of the FCA, Andrew Bailey, defended the decision to allow BrightHouse to settle, rather than have a fine imposed, because it allowed for the expediting of the process. The conduct of the firm was particularly distasteful in that its consumers, many of whom have been facing particularly fraught debt-related issues since the onset of the Crisis, were not having their ability to pay ‘properly assessed’ and were having their returns/refunds delayed excessively; as one onlooker correctly stated – the firm ‘regarded its customers as cash cows’. This particular sector is the subject of vehement, and absolutely justified criticism, from a number of influential people and organisations like the Financial Inclusion Centre, who found that the cheapest washing machine available at BrightHouse cost over £1000 spread over three years, whilst the same product cost £250 at normal high-street retailers; the obvious inference here is that these firms pray upon those who are not financially-confident or competent, by way of welcoming those in under the guise of apparently small payments and increased availability. On this basis the FCA will see this as a ‘win’, and certainly something which it can point to demonstrate its effectiveness at protecting the consumer. However, it has been involved recently in more large-scale investigations, with two instantly coming to mind. The first development is the news today that the regulator has initiated investigatory proceedings against the credit reporting firm Equifax, which is reeling from a hack that apparently began back in May and has snowballed into a full-on crisis which has sent its stock prices tumbling and its management structure decimated upon claims of improper conduct. The hack, which apparently put over 143 million people’s (mostly American) personal data at risk, has also been noted to have affected nearly 700,000 British customers as well, which has formed the basis of the FCA’s investigatory glare. It is being stated in the business media that, acting on pressure from the Treasury Select Committee, the FCA is pushing forward with an investigation that has, as just one of its punishment options, the ability to strip the company of its right to operate in the U.K., if found to be negligent in its handling of sensitive and personal data. 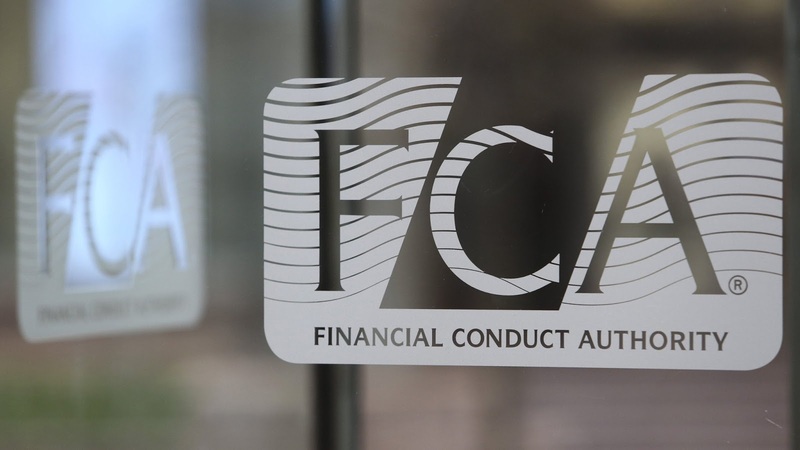 Whether things escalate to this level is another matter entirely, but the sentiment that can be extracted from this action adds to the FCA’s claim to be operating upon its mandate to protect British consumers. However, the FCA does branch out away from this sentiment, to some extent, and that can be witnessed by the news that, yesterday, Bank of America Merrill Lynch had been fined £34.5 million for a ‘transaction reporting failure’, its third in a decade. In confirming the regulator’s penchant for timeliness, the Bank was allowed to settle with the regulator and received a 30% discount on its original fine of £49.32 million as a result, although the FCA were clear that this move, which was the first under the new E.U. ‘European Markets Infrastructure Regulation (EMIR)’ regulations, represented the regulator’s adherence to the need for there to be a ‘line in the sand’ when it comes to financial institutions reporting their many transactions. These aspects, although not formally declared by the FCA as such, will be seen (internally at least) as positive developments and demonstrations of their purpose and capabilities. However, all is not as rosy as that viewpoint would suggest and, in reality, the FCA is under huge pressure to operate in a much more transparent and developed manner. There are a number of elements which provide evidence for this claim that the FCA are, potentially, going through a crisis at the moment, but there is one in particular that this post will focus on. There are two other stories – no less important – which will not be covered here in any great detail. 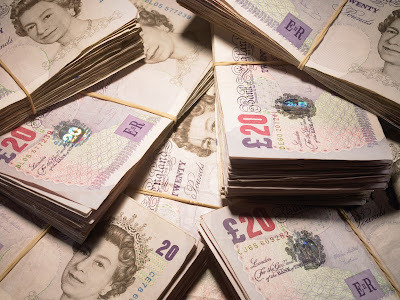 For completeness, the first is the story found here that claims for mis-sold PPI have skyrocketed in the previous year, which is proving to be controversial given that the FCA have imposed a 29th August 2019 deadline for complaints. The second story relates to criticism that the Authority is facing with regards to its handling of the investigation over the LIBOR-rigging scandal, in which it has been suggested ‘serious errors’ were present which, potentially, undermined the integrity of the investigation itself; the Complaints Commissioner found that, in relation to the FCA’s handling of investigations into the conduct of two former bankers in particular, there had been ‘considerable failings’ – this has been accepted by the regulator. However, there is a much bigger storm brewing that not only brings the FCA into the limelight, but should also raise more systemic questions over what a regulator can do in reality. 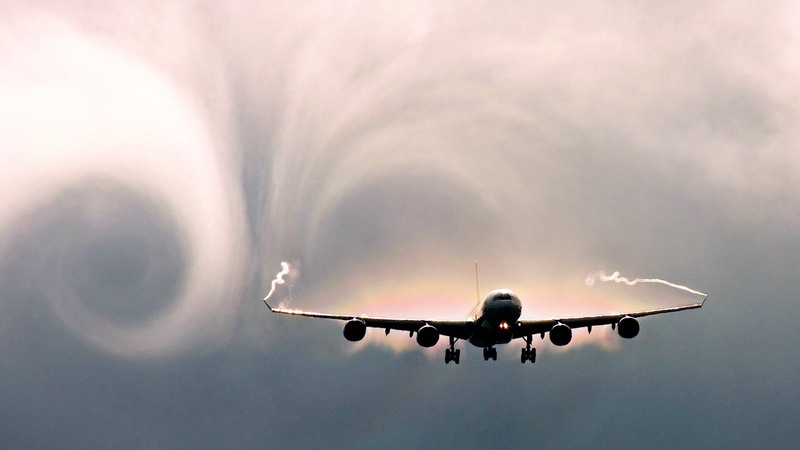 That storm, which is something that has been consistently analysed here in Financial Regulation Matters, across the business media and almost every other format, is the Royal Bank of Scotland (RBS). Previously, it was discussed in this blog that the FCA obtained an independent report into the conduct of the GRG unit within RBS, but had only released snippets of it to the public. Since then, the regulator has come under increased pressure from the Treasury Select Committee to publish the full report, and in response the FCA claimed that it would provide the Committee with the report shortly, but with the details to be kept private – the report will be assessed by an ‘independent legal advisor’ on behalf of the Committee. The reason for this, according to Bailey on the Radio Programme this afternoon (see above), is that there is the potential for a number of individuals to be implicated by the report, and thus publishing the report would breach certain standards of confidentiality. Yet, these developments, when viewed in light of the reported facts that 92% of the businesses put into the Group’s remit never made it out again, and that there was ‘widespread inappropriate treatment’, has the obvious effect of suggesting that the FCA is ‘covering’ for the Bank, which is something Bailey denied vehemently in his interview. At the moment, the current state of affairs is that the Report, in full, has yet to be published, the Select Committee are actively criticising the regulator for delays, and the widespread viewpoint in the media is that ‘RBS could face further action’ – there can be no doubt that this story will continue to develop in the coming days and weeks. However, there is something which must be acknowledged as lying underneath all of these developments. The FCA is acting quickly to secure, what are in reality, relatively small victories against companies that will either a. accept the punishments without much complaint (BrightHouse) or b. without feeling the effect (Bank of America Merrill Lynch). However, the really big issue – the treatment of SMEs at the hand of one of the largest banks – is being drawn out. Bailey’s reasoning that confidentiality is an issue is a valid one, of course, but for anyone who believes that this may be the start of meaningful and effectual action, this author suggests they pause for a moment. The real reason for the FCA’s inaction is that, in reality, RBS is simply too big to fail (TBTF). Whilst the commonly accepted notion of TBTF applies here, in that an organisation has grown to a size whereby it is intertwined with the economy, the issue here is one of timing. This is because as the bank continues to fail, reporting profit loss after profit loss and lurching from one conduct-related crisis to another, the environment within which it sits simply cannot cope with a failure of this magnitude – with the social, political and business climate being consumed with the insecurity that had to accompany withdrawing from an bloc like the E.U., the U.K. simply cannot afford RBS to fail – the effects would be truly catastrophic, particularly so close to the last Crisis. Therefore, is it right that the Select Committee complain so openly about delays? Yes. It is right that valiant campaigners across society campaign on behalf of those intrinsically damaged by the actions of this particularly venal organisation? Of course. Yet, in reality, and rather unfortunately one would like to add, the FCA, or any other regulator for that matter¸ cannot take effectual action – the country cannot afford it. So, what will happen is that Bailey will continue to receive the brunt of the criticism for inaction on radio stations, in the media, in Committee hearings, because that is his job. If we understand this, that regulators can only do so much because they are either under-resourced, not capable or willing to give out meaningful punishments like criminal sanctions for criminal behaviour, or simply hamstrung as they come across these societally-engrained behemoths that have become too-big-to-fail, then the result will be that our ire is directed towards those that count. Policies that aid in this growth need to be addressed, lobbyists who consistently lobby democratically-elected officials to protect their clientele at the cost of the public should be publically admonished, and ultimately, the perpetrators of these crimes should be held up high in society as criminals and treated as such; for some reason, that all sounds fanciful, which is quite a conclusion. 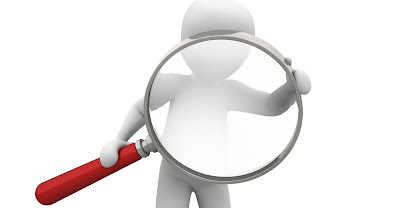 Keywords – FCA, RBS, BrightHouse, Debt, Merrill Lynch, Crime, Corporations, Banking, Regulation, @FinRegMatters. Today’s post reacts to the news that BMW, the famous German auto-manufacturer, has been raided by the European Commission’s (EC) antitrust division as part of an investigation into collusion between the largest German auto-manufacturers. In this post, the focus will be on the details of the investigation, as far as we can know at this very early stage, and then on contextualising that against the larger picture for auto-manufacturers. Ultimately, although operating in opposition to the supposed ideals of the marketplace i.e. private and independent business, the reality of the situation is that in this particular industry collusion is rife, and arguably necessary – depending upon one’s position. The EC raided BMW’s Munich offices last week in the latest development of an investigation into collusion between the largest German auto-manufacturers. 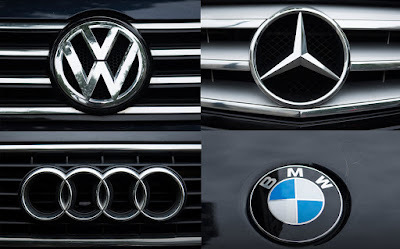 The investigation, which began earlier this year, is based upon the allegations that ‘Volkswagen, Audi, BMW, and Daimler has for years run secret technology working groups’, with the legal element being that the cooperation between the companies effectively represents a cartel, if collusion is indeed proven. Specifically, the investigation is concerned with whether the manufacturers colluded on setting the price paid for technical components (thus impacting upon the supply lines) that were involved with the neutralisation of exhaust emissions, although BMW were quick to declare that this current investigation is not related to the emissions scandal which has heavily impacted upon its ‘rival’ Volkswagen (VW). Interestingly, the issue of cartelisation is key here, and the EC’s structure to encourage whistle-blowing regarding the revealing of Cartels has arguably worked well, with Daimler – the parent company to the famous Mercedes-Benz brand – being the company to break ranks and inform the EC of the presence of this Cartel in exchange for leniency. Whether or not Daimler gets the full immunity it is hoping for is another matter as the EC has a number of options available to it (like reduced fines rather than complete immunity), but it is likely that Daimler will receive full immunity because the regulator is particularly keen to foster an environment where whistle-blowing is a real option. This is because cartelisation is a particularly prevalent problem within the industry. The German magazine Spiegel suggested earlier this year that this current investigation will not stop at a cartel based on technological price-fixing and is inherently connected to the emissions scandal currently enveloping VW. In Germany, the issue of cartelisation has been a factor for generations, and only recently this issue was revealed within the Truck industry. Last year six Truck manufacturers were found to be guilty of forming a cartel in the very same area as the car manufacturers mentioned above – emissions-related technology – with Iveco, DAF, Volvo/Renault, Daimler, and MAN being fined an E.U.-record of €2.93 billion between them. Scania, the sixth company, refused to settle with the EC and last month were fined €880 million for their part in the cartel. For revealing the cartel, MAN had their fine cancelled, with Margrethe Vestager, the E.U.’s Competition Commissioner, confirming that ‘it pays to denounce a cartel’; it is safe to say then that Daimler, for revealing this latest cartel, will likely receive the immunity they have requested, or something very close to it. However, before we conclude, is it simply just greed that encourages these companies to cartelise and affect suppliers and customers alike, or may there be any other relevant factors? The most important aspect in this regard is to acknowledge that not everything is black-and-white in this particular industry (like many others, admittedly). There have been a number of instances whereby groups of companies have teamed up to purchase technology, with a recent example being the leading German manufacturers working together with Nokia for use of its mapping services. Fiat boss Sergio Marchionne has been quoted as requesting that car manufacturing firms stop wasting money on duplicative efforts with regards to technological components that offer little competitive advantage, and commentators have noted that the particularly low profitability within an industry this large may suggest that the efforts to cartelise have not been due to absolute greed. So, if the issue is not greed, as is being suggested, we may find part of the reason in the recent news that Holden, the last remaining car manufacturer in Australia (itself a subsidiary of General Motors) has closed its doors. This remarkable situation whereby a nation particularly proud of its love for automobiles does not host a manufacturer, is the demonstration of the fear felt in every manufacturer’s boardroom – the industry is fraught with dangers such as competition, exposure to larger economic trends, and the effects of changing manufacturing processes i.e. the move to developing nations like Mexico which is altering the landscape in the industry. The attractiveness of countries like Mexico, India, and China, when viewed in relation to the ever-changing and increasingly isolationist politics in the modern age, mean that the relatively high costs of manufacturing in places like Japan, Germany, and Australia are forcing manufacturers to make serious decisions about their future. Ultimately, it is important to view the cartelisation occurring within Germany in a certain context. Whilst it is illegal and will be punished, the rationale for doing so is arguably evident when we look at the broader picture. However, more than this, the notion of deterrent raises it head once more because, if we think of the advantage that these firms can accrue in terms of survival via cartelisation, then the ‘record’ fines of no more than €1 billion each (using the Truck Cartel case as the example) will not be enough. One of the main issues facing Holden (and Ford and Toyota, Australia’s other most-loved brands that left recently) is the issue of punitive tariffs being applied to their products when being exported – we know, from the recent post on the trade battle between Boeing and Bombardier, that the current political trend is heading towards more division and tariff-imbalances, not less; for this reason, the prospect of cartelisation being prevented within the auto-manufacturing industry is a long way off, despite the European Commission’s best efforts. In today’s post the focus will be on the banking sector and, by focusing on three current issues, provides an overview of recent developments within this particular sector. By looking at the issues surrounding Barclays, HSBC, Standard Chartered, Lloyds, and RBS, a picture will be painted that details the need to ask much deeper questions about the role the banking sector plays within society and, perhaps more introspectively, the relationship between big business and humanity. Going through the issues in no particular order, the first stop in today’s journey takes us to Barclays, with the news emerging that Red Kite Management, the world’s largest metals hedge fund, is suing the British Bank for ‘alleged market abuse in the copper market’, which it claims has cost the company at least £650 million between 2010 and 2013. The company’s claim, according to documents filed with the High Court, is that the Bank allowed some of its staff to share confidential information with the Bank’s proprietary traders on the floor of the London Metal Exchange (LME), with the result being that the traders were effectively betting against their own client. As this story has just broken, both parties are refusing to comment publically, but the inference is that Barclays is under considerable pressure from a number of sources. The LME simply stated that anyone found to be in breach of the rules and regulations of the Exchange will be subjected to disciplinary proceedings, whilst we know from other posts here in Financial Regulation Matters that the bank is facing charges of fraud over its connections with Qatar and its funding of a survival package at the height of the Crisis, and also that the Bank’s CEO, Jes Staley, is operating under incredible pressure because of his treatment of whistle-blowers; additionally, the Bank is mired in the LIBOR rate fixing scandal, with it reaching a number of settlements on both sides of the Atlantic totalling hundreds of millions of Pounds and there being the real possibility of more pain to come for Barclays and a whole host of other banks. If we were to take this issues in isolation, then it would not be farfetched to suggest that Barclays is in somewhat of a crisis, although nobody is suggesting that – the reason being that these issues are hardly unique to Barclays within this sector. One of the largest banks in the world – HSBC – has found itself at the forefront of money laundering claims in South Africa, alongside Standard Chartered. We have looked at this issue of HSBC’s global connection to the facilitation of money laundering, so perhaps the following will be of no great surprise. The Banks are allegedly guilty of allowing illegal funds to pass through their networks, for the benefit of what UK Chancellor Philip Hammond (who himself has been critiqued here in Financial Regulation Matters) described as the ‘Gupta-Zuma criminal network’ – it is interesting to note that even though the links between the infamous Gupta family and South African President Jacob Zuma are well known, Hammond’s seemingly official condemnation of the leader of a sovereign nation represents the reality that leading nations are quick to rebuke those who cannot defend themselves; in fact, Hammond is actively leading the fight by referring the issue to the Serious Fraud Office, the National Crime Agency, and the Financial Conduct Authority. Furthermore, the FBI are focusing in on two of the Gupta Brothers, which seems to suggest that there is a concerted effort to tackle money laundering in this particular region, but we have heard very little about the global laundromat scandal that has many tentacles, apparently, within Russia; though all money laundering should be eradicated, the fervour with which this investigation is being pursued needs to be considered. This comes on the back of the collapsing of Bell Pottinger and the internal resignations within KPMG regarding their collaborations with the Gupta family, which should suggest that if either of the Banks are found to be complicit in facilitating money laundering by the family, then there will be massive consequences; Lord Peter Hain, the former Labour Cabinet Minister and now Non-Executive Director at African Potash, and someone leading the charge based upon his feeling that he is ‘pained by the betrayal of values of the freedom struggle that is occurring under the political leadership and its business cronies in South Africa today’, has suggested that he is not accusing the banks of complicity, but that he wants them to ‘help recoup any funds that have left the country by illicit means’ – what this confusing statement means is another matter, because that would suggest that the banks have had at least some involvement with the movement of illicit funds. These issues relate, potentially, to a cultural issue whereby a Bank is only interested in what it can make, with absolutely no regard to its effect nor even its perception to the outside world. Before the post concludes, there are two examples, which provide updates to a collection of posts here in Financial Regulation Matters, which demonstrate this sentiment perfectly. There have been a large number of posts in Financial Regulation Matters that have covered the issue of compensation, particularly in relation to Lloyds and RBS. It is not necessary to go over either of these issues in detail here given the amount of exposure within the blog previously, but recent developments hint at the reality of the situation; if one believes that having compensation confirmed is a victory in this field, then they are sadly mistaken. Looking at Lloyds first, the compensation package owed to victims of Lyndon Scourfield and the Reading-based Unit that purposefully destroyed SMEs for profit, has been delayed again, with the suggestion being that victims will not be compensated in full until 2018 – nearly half of those affected have not even yet received a formal offer. 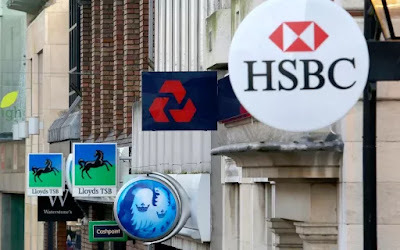 Despite the best efforts of the bank’s most recognisable victims, who has bravely suffered the indignity of revealing the extraordinarily harrowing but private effects of the crime, little is being done. In a similar vein, victims of a similar crime at RBS by way of its ‘Global Restructuring Group’, have recently found out that the Bank has inexplicably altered its definition of those who can claim to be victims, with it being suggested that thousands of SMEs are now excluded from the £400 million compensation scheme. This is not surprising, really, because we have spoken before how, in reality, £400 million is hardly likely to be anywhere near enough to compensate for the damage caused. Despite RBS boss Ross McEwan’s quite repulsive statement that he is tired of small businesses ‘badmouthing’ the Bank, and also despite the best efforts of the FCA to bury the issue, it is being reported this week that the Authority has relented and allowed Nicky Morgan’s Treasury Select Committee to review the previously withdrawn report that is likely to be particularly damaging to RBS. The two cases demonstrate, quite clearly, that Banks have little interest in how they are perceived. There is a reason why this is. Quite simply, the majority of banks (arguably all of them), are not ‘social citizens’. In fact, it can be argued that they are quite the opposite, and represent the antithesis of what a progressive society should be aiming for. If we look at these stories above, none of them are shocking. It is not shocking to hear of a bank rigging the marketplace and acting against its own clients. It is not shocking to hear of Banks actively facilitating money laundering for governments and leading business elites. It is not shocking to hear that not only are victims going without redress, but they are being victimised for being victims of crimes. There are many philosophical questions that could be raised; for example, we could ask whether these actions are demonstrative of a cultural phenomenon within the institutions themselves, of a wider phenomenon linked to Capitalism, or based upon something more tangible like regulatory failure. However, whilst all of those considerations would be valid, they unfortunately cloud the reality that these institutions act in a parasitic manner and are, when viewed in longer terms than an economic cycle or two, a blight on society. It is not right that such continued transgressions are viewed as ‘par for the course’, or demonstrative of a continuous battle between private enterprise and public regulation – banking simply does not have to be this way. Unfortunately, banking as an ideal or societal function has been hijacked by those intent on maximising their own personal gain so, in that sense, long may the ‘badmouthing’ continue because at every turn we must acknowledge the challenge that society faces with these large and extremely damaging entities. Today’s post reacts to the recently published Parker Review, which is a final report led by Sir John Parker in association with Ernst & Young and Linklaters. 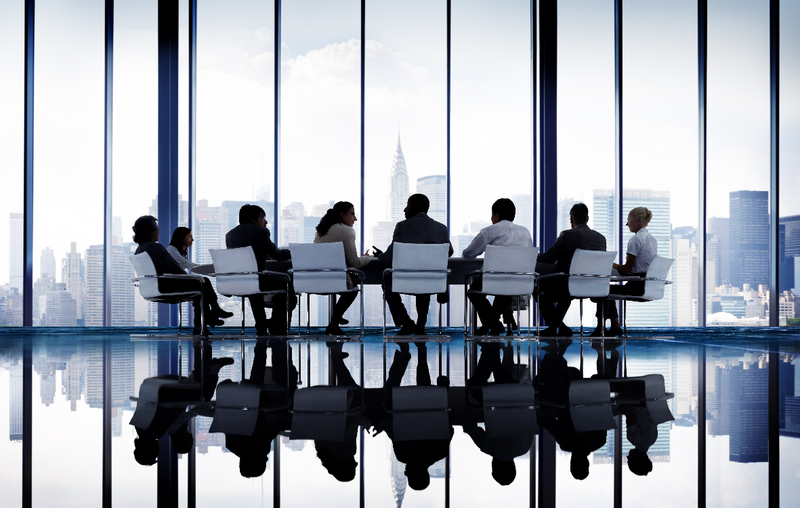 The report, entitled A Report into the Ethnic Diversity of UK Boards, aims to shine a light on the issue of representativeness on FTSE Boards, with a specific focus on FTSE 100 Boards, and then prescribe some recommendations which it hopes will have a positive effect in this particular field. So, in this post, we will take a closer look at the Report and assess whether it may achieve its aims and, more importantly, whether its aims are even useful or correctly constructed in the first place. We have looked at this issue of representativeness at Board level before here in Financial Regulation Matters, but mostly from a gender-related viewpoint (here and here). However, as the Parker Report states in its preamble: ‘U.K. 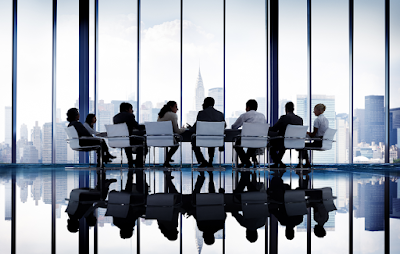 Boards have made great progress on gender diversity but we still have much to do when it comes to ethnic and cultural diversity as a business imperative’. Whilst this statement must be qualified – the rate of women being hired onto FTSE 100 Boards has stalled this year and, moreover, the rate of women being hired onto Boards more generally has actually reduced this year – improvements have been made, to a certain extent, and especially when we consider historical trends (though this should offer no comfort whatsoever). Yet, according to the Report, the situation is dire when it comes to ethnicity and cultural differentiating elements, with ‘UK citizen directors of colour [representing] only about 2% of the total director population’, and only ’85 individual directors of colour (four hold two Board positions)’ across FTSE 100 companies. Furthermore, seven companies account for over 40% of ‘directors of colour’ (this post will continue with this terminology only because the Report does), but of those seven, five companies have headquarters historically located outside of the U.K. Finally, of these 85 directors, only six hold the position of Chair or CEO. The report counteracts these figures by discussing the make-up of the population, stating that today 14% of the British population is classified as a ‘person of colour’ or coming from a non-white ethnic group, with projected figures putting that first figure closer to 20% by 2030 and 30% by 2051. So, in light of these findings, the Report makes a number of recommendations which are badged under its “Beyond One by ‘21” moniker. The “Beyond One by ‘21” banner represents the overarching recommendation that, by 2021, ‘each FTSE 100 Board should have at least one director of colour… and each FTSE 250 Board should have at least one director of colour by 2024’. The Report is keen to acknowledge, however, that these aims may need to be tailored to each specific business and their HR capacity, which is demonstrated when the recommendation is qualified by the statement that ‘we recognise that qualified and credible candidates can come from a variety of backgrounds, genders and nationalities. The Review does not seek to mandate where candidates are drawn from…’. Furthermore, in terms of compliance with the recommendations, the Review concludes by affirming that ‘Companies that do not need Board composition recommendations by the relevant date should disclose in their annual report why they have not been able to achieve compliance’, thus demonstrating the nature of this Review and the approach taken within the Country with regards to Board diversity. However, at this point it is important to remain positive (for the time being anyway) and say that the Report, irrespective of its success, has at least played its part in bringing this extremely important issue into the public consciousness. However, are there parts of the story that the Review simply does not account for and, therefore, may see its chances of achieving its objectives fundamentally constrained? Whilst the Report is receiving its plaudits from the likes of the Business Secretary and the Confederation of Business Industry, it is proposed here that there are two constraining factors at play here. Firstly, as we have mentioned before here in Financial Regulation Matters, the Report does not address the impediments for success, it just states that something ought to be done. The first impediment is that those in power may not wish to see the increased representativeness that is called for by Parker, with Tesco’s Chairman John Allen’s supposedly humorous ‘White Men are Endangered Species in the Boardroom’ comment providing an ample example of the potential barrier in this particular regard. Secondly, and more importantly, the Report has an underlying sentiment that intimates that there is a pool of talent waiting to be tapped, but that big business is not doing so. Whilst there is an argument to be had that there is talent available but that leading figures and institutions do not hire based on discriminating factors which, as we know, would be illegal but still very much a possibility when considering engrained or cultural biases that infect the employment process, it is probably better to focus on the issue of the pool of talent available. Firstly, starting from the earlier phases of education, the amount of non-white children attending ‘Independent’ i.e. fee-paying schools is slowly rising, but only recently. Additionally, families categorised as ‘Chinese, Black, or Indian’ are now disproportionately exposing their children to private extra-tuition, now edging towards a rate whereby students within these ethnic classifications are twice-as-likely to be privately tutored than their white counterparts. In State-funded Schools, non-white students make up 31.4% of Primary School Students and 27.9% of Secondary School Students, although it has been noted that where these students go to School is having an effect, with a ‘quarter of English State Primary Schools [being] ethnically segregated’ and, in London specifically, 90% of ‘ethnic minority students’ go to Schools where they make up the majority of the cohort. Moving forward, in terms of assessment-related success, a Report by the Social Mobility Commission concluded that ‘black children, despite starting school with the same level of maths and literacy as other ethnic groups, are most likely to fail Maths GCSE’, with the same group recording the lowest likely outcomes in Science, Maths and Technology A-Levels, should they get there. Additionally, poverty becomes a factor when considering that ‘only 1 in 10 of the poorest go to University, compared to three in 10 for Black Caribbean children, 5 in 10 for Bangladeshi children and nearly 7 in 10 for Chinese students on the lowest incomes’. Clearly, as one should be able to discern from the above, finding a reason why is notoriously difficult in this particular field, mostly because of the sheer number of factors that may affect one’s progression, which can range from systemic discrimination and bias, to the culturally-related emphasis one’s family may place on the importance of education during the formative and most important years. However, before we conclude, it is worth looking at the one of the final stages where the ‘pool’ of talent may be formed: University. Before we assess the notion that there is a pool of talent to be accessed by business stemming from the graduate market (although it is acknowledged here that one needn’t be a graduate to be an attractive candidate to a Board of Directors), data provided by UCAS suggests that ‘Black, Asian, and other ethnic minority students face a persistent gap in winning University undergraduate offers in England compared with White applicants, even when exam performance is taken into account’. The Report, which did not include Oxbridge Universities, medicine, dentistry and veterinary courses (because of their different entry systems) alludes to the fact that the highly selective Universities (UCL is quoted) where less likely to take students from ethnic minority backgrounds with the same entry scores – although figures from Oxford University (and older figures from Cambridge University) suggested a similar bias was in place there as well. Then, for those that do get to University, ‘White students at English Universities receives significantly higher degree grades than their peers from minority ethnic backgrounds with the same entry qualifications’, with it being suggested that Universities in England need to do much more in supporting those ethnic minority students as they progress through their degrees. Then, to conclude the cycle, those ethnic minority students are ‘much less likely to be employed than their White peers six months after graduation – and many can expect to earn less for years afterwards’; this is before we take into account the disproportionate difficulty that women from ethnic minority backgrounds have in the graduate employment market. Ultimately, the aim of this post was not to excessively criticise the Parker Report, nor was it the aim to provide an answer to the problems detailed within the Report and in this post. However, one aim of the post was to demonstrate that a top-down approach will simply not work, and takes into account too few of the problems faced. If a student manages to scale the increasingly impenetrable wall that is described in this post, from Primary School to University, their approach and understanding of the world will be vastly different to the theorised or atypical student who progresses without having faced these difficulties and obstacles (note, this atypical student is not based on race, with the associated statistics for poor White students revealing just as difficult a pathway). What does need to be considered is that focusing more attention on a. removing systemic biases and impediments and b. accommodating for the effects of that bias need to be adopted as we move forward, because symbolic “Beyond One by ‘21” taglines will have very little effect if these underlying issues are not tackled. Yet, and unfortunately it is difficult to be positive at this point, we need to ask whether the current climate will be conducive to achieving these aims. In this country alone, we have a Government that is lurching from crisis to crisis, seemingly by the week, and an electorate that voted to move into, by definition, particularly uncertain waters. Rather than seek long-term and socially-progressive policies to deal with that move, our Government and the powerful have decided to increase levels of anxiety across the Board, ranging from attacks on the welfare state (the forthcoming roll-out of Universal Credit will decimate parts of this Country) to chaotic and unprofessional negotiations with the E.U. regarding the Brexit process. This short-termism can be viewed almost every day in the news headlines (which is an issue in itself), but the overall message is that long-term and socially-progressive policies are simply not on the cards because the Country cannot afford to think like that – well, the cost of not thinking like that is, by its very nature, fundamentally more significant than any of the associated benefits that come with short-termism. It is for this reason that the Parker Report should be acknowledged as a positive attempt, but in reality representative of a limited and constrained understanding of the Country and its make-up. Labels: @finregmatters, Bias, Board Diversity, Culture, Diversity, Education, Ethnicity, Government, Opportunity, Policy, Race, Short-termism, Social Mobility, U.K. This post focuses upon two particular elements that have been somewhat of mainstays here in Financial Regulation Matters, and those are the Treasury Select Committee and the tuition fee issue in the U.K. Upon Andrew Tyrie’s departure as Chair of the Treasury Select Committee in April of this year, we asked who it would be replacing him and how vivacious would they be in utilising the considerable influence that the Committee has. 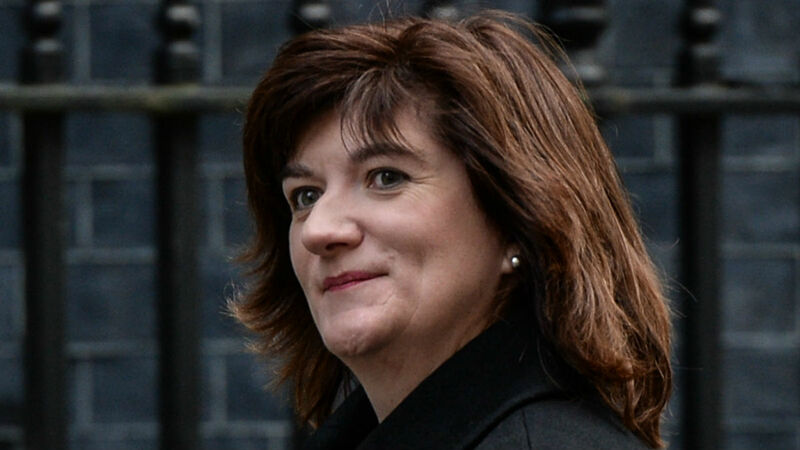 We had a brief taste of what Tyrie’s successor – Nicky Morgan – had to offer with her preliminary calls for RBS to release the controversial and likely extremely damaging report into the conduct of its ‘Global Restructuring Group’. Now, Morgan is returning to her old stomping ground from her time as Education Secretary and is launching an enquiry into the student loan system, ultimately aiming to examine recent policy changes like the tripling of tuition fees and the recent hike in interest rates related to the loans taken by students. So, today’s post will review some of the recent issues within this field of education and finance and will, unfortunately, continue the blog’s scathing analysis on the actions of those tasked with providing direction in this crucial sector. Morgan’s scrutiny comes on the back of the Institute for Fiscal Studies’ (IFS) calculations that declare that Theresa May’s latest ‘pledge’ to the younger (and mature student) voters, in which she declared that the threshold for the initiation of repayment would rise by £4,000 to £25,000, would cost the country an extra £2.3 billion a year, increasing the long-term cost by over 40%. These statistics were coupled with the conclusions that more than three-quarters of graduates will fail to fully repay their loans over their lifetime, with the average student now leaving University with more than £50,000 worth of debt. This increased scrutiny has allowed for the issue to be debated across the spectrum, with Morgan making the point that the student loan system is projected to cost around £160 billion over the next six years which, according to the ‘architect’ of the current system and former advisor to Tony Blair – Andrew Adonis – is representative of ‘a pack of cards waiting to collapse’. Leaving aside Adonis’ views in light of his role in the system and his recent and unnecessarily provocative attempts to be as visible as possible for just one moment, the amount of criticism is increasing and there is a rumour, although how true is debatable, that the Government are considering bowing to this pressure and introducing a lower cap of £7,500 on tuition fees in the U.K. Yet, the reported rationale for this rumoured decision, that the Conservative Party are concerned with their appearance to younger voters, should be taken with a pinch of salt because, as we shall see, their sentiment is just as cold as ever. Perhaps it would be better to not take the issue of the Conservative Party focusing upon how it is perceived with a pinch of salt absolutely because it is an important aspect of politics. We can see then when reading that the Universities Minister, Jo Johnson, is apparently ready and willing to adopt the advice of personal finance ‘guru’ Martin Lewis in that the tuition fee system should be renamed a ‘graduate contribution’ tax. Lewis’ rationale is that the connotations associated with the language of ‘debt’ and ‘loans’ are ‘psychologically damaging and misleading’, although whether Johnson is acting to protect the mental health of students in relation to their financial position is anyone’s guess. This author says this because, earlier this month, Johnson made the incredible statement that students should live more frugally to survive University, rather than asking their parents for money. He suggested that students can do more work to supplement their living, which not only ignores the fact that Universities are, for the most part, clear that students should not work more than a small amount of hours each week (usually six) because of the potential effect on their studies, but blatantly glosses over the rapid increase in costs that the Conservative Party have oversaw, with accommodation costs soaring as the Government actively encourage large investors to the sector. There are two issues here, and before concluding on the second of those issues, the first needs to be addressed – this sector is big business. It was reported in the last few days that the Government is primed to give the go-ahead to Barclays, JP Morgan, Credit Suisse, and Lloyds, to facilitate the ‘landmark sale’ of £4.1 billion of student loans to investors, which it hopes will raise £12 billion for the Treasury over the next four years. In addition to this the deal, which includes compensation clauses for investors dependent upon a number of elements which will likely be witnessed because of the precarious nature of the loans themselves – these securitised products are the first deal to be backed by income-contingent loans anywhere in the world, meaning that the likelihood of investors receiving what they expect to receive with the economic and political uncertainty present is particularly low; the Government would then have to compensate the investors because the loans must be serviced by somebody – the Government have essentially declared that they will offset that risk for investors. What does this mean? Well, it can mean many things, but one thing is for sure and that is that this Government is pushing the massive tuition-fee issue down the road for another day. Yet, whilst this approach can be criticised from a number of angles, we will conclude on the notion of sentiment because, if we read between the lines, the current Government (and perhaps all Governments) actively operate on that basis. It is important that we conclude on Johnson’s ‘frugal’ statement because, quite frankly, it tells us all we need to know. After hearing that Jacob Rees-Mogg believes working families attending food banks is ‘uplifting’, we now have an Eton and Oxford-trained member of the elite telling students to live frugally at the same time that food banks are being set up on University campuses and surveys suggesting that 41% of students have gone without food because of financial concerns. Johnson’s answer to this – work more – is counterintuitive to students who are, because of the pressures on the graduate employment market, under ever-increasing pressure to leave University with the best degree possible. Whilst the comment is distasteful at best, his sentiment of turning the finger of blame and responsibility towards the subject is absolutely despicable. Whilst students have a responsibility to do the best that they can and work hard, the Government have a much greater responsibility to protect the students’ position by making sure that their accommodation is not commoditised and sold to the highest bidder, thus increasing the costs for students. The Government have not only failed with that responsibility, they have not even accepted it. Yet, we should not be surprised, because this sentiment of apportioning fault and blame to the vulnerable in society is inherent within the ideology of the Party. The right to believe in any which way is central to the idea of democracy, so Jo Johnson can believe and say (within reason) whatever he wants, but it the public that have to consistently remind themselves who these people are who are consistently attacking the poorest and vulnerable within society, whether they are poor, disabled, students, or a whole list of other targets. In today’s post, the focus will be on a few potential M&A (Mergers and Acquisitions) deals that the British competition regulator, the Competition and Markets Authority (CMA), is currently dealing with. Whilst also serving as a review of the recent business news in this field, this post will seek to analyse the complex nature of the CMA’s task and all of the aspects that it must consider; the effect of their decision in a given case will, by its very definition, go on to have massive consequences for those businesses involved and, more importantly, the public which is exposed to the effects of these potential deals. What we will see is that, in a number of cases, the balance which is aimed for will weigh heavier on any given side, but finding a solution to this is almost impossible, if even desirable. First up for us is Tesco and its proposed deal to take over the wholesale company Booker, which is something we have analysed before here in Financial Regulation Matters. The proposed £3.7 billion takeover by Tesco will, if it is allowed to proceed, create a powerhouse within the sector and will boost Tesco’s position against its obvious competitors. However, even though the shareholders of Tesco are not too enthralled at the idea of a takeover, the issue with regards to competition is apparent with the attention being paid to the deal by the CMA. For the CMA, who mandate as an independent non-ministerial department includes investigating potential restrictions to competition, effects upon consumer interests, punishing cartelisation, and also enforcing consumer protection legislation, their focus will later depending upon the nature of the case in front of them, and on this occasion the effect upon this specific marketplace is causing the most concern. Despite only very recently posting notice of a 9% increase in profits, Booker and its proposed merger with Tesco is coming under increasing pressure from British wholesalers, with seven of the largest firms calling for the CMA to block the proposed deal on the grounds that the merger ‘threatens the survival of the independent retailer’. This argument is based upon the notion that Booker, if allowed to merge and then utilise the purchasing power and networks of Tesco, will effectively be able to drive other suppliers out of business by allowing Booker to buy products at ‘Tesco prices’, meaning that the increased share of the market for Tesco (already at 29%) would mean that independent retailers would be met with a ‘stark choice: join a Booker/Tesco symbol or go out of business’. Another fear of the seven wholesalers is that Tesco, having access to Booker’s network of retailers like Londis and Premier, would be able to demand that smaller branded suppliers subscribe to Tesco’s pathway or face being forced out of the marketplace, via a lack of exposure to customers. Nevertheless, the CEO of Booker sounded upbeat whilst announcing the recently improved figures, ultimately declaring that he believed the deal had integrity, although he did confirm that he did not want to comment directly on the case because the CMA’s findings are due out within the next month (with a final and ultimate decision due next year). What we can see is that the CMA have a number of aspects to take into consideration, because it is unlikely that Tesco’s competitors will take this assault on the marketplace lightly. Also, this deal is part of a new strategy by Tesco to focus its efforts on the national marketplace, with a proposed deal to merge with Vision Express causing concern amongst the CMA because of the potential effect that the deal could have upon consumer choice. It is important, therefore, that the broader strategy is taken into account, in some form at least, because to encourage such an approach unchecked can have much larger consequences further down the line, which is the argument of the wholesalers whose entire marketplace is under threat. There are, of course, other examples of the mammoth task facing the CMA, and the case of Sky is just one of those examples. In September of this year, the Murdoch family’s proposed takeover of Sky, valued at £11.7 billion, was referred to the CMA by the Culture Secretary Karen Bradley. Rupert Murdoch’s 21st Century Fox company is attempting to increase its share in Sky so that it has a controlling stake, one which would see Sky and its ‘Sky News’ platform submerged into the 21st Century Fox family alongside the infamous ‘Fox News’. The potential issues come in the form of how appropriate the deal would be with regards to ‘media plurality and broadcasting standards’, with the connotation being that a. the merger will give the Murdoch’s a much tighter grip upon public opinion in this country and b. bring an organisation that has been castigated for its broadcasting standards further into the broadcasting fold in this country. Even though the attempted merger has been repackaged so that the ‘News Corp’ label has been diverted away from this deal, the memories of the ‘phone-hacking scandal’ still loom large over the projected deal and that is, to all intents and purposes, one of the biggest sticking points. The CMA will soon make their decision and advise the Culture Secretary upon how it perceives the case should be handled, with the final decision being Bradley’s alone. Yet, this example shows us the broad range of considerations that the CMA must ponder, with the potential influence upon the political arena being one of the most important that it could deliberate on. For our purposes, there is one final piece of news that shows that the CMA needs to take into account the future forms that a certain area of business will take. This dynamic is exemplified in the recent news that the proposed £200 million merger between Just Eat and Hungry House, two food ordering/delivery companies, is likely to go ahead with the CMA’s approval. Despite concerns regarding the effect of the merger upon consumer choice and the business of fast-food outlets, the CMA is reportedly preparing to provisionally approve the deal on the basis that Hungry House, without the merger, will likely go out of business. As the news broke and Just Eat’s share price rose accordingly, further concerns have been raised regarding the effect of the deal. The provisional opinion is based, primarily, upon a reclassification of the two businesses’ objectives, with the CMA now deciding that the two are not in direct competition with each other and that other companies like Deliveroo are more suited to being referred to as Just Eat’s competitors; the declining value and profitability of Hungry House, and also its ever-weakening challenge to Just Eat’s hegemony, have ultimately proved to be its downfall in seeking protection against the takeover, although the increasing position of Deliveroo, who alternatively offer a service based upon delivering food from restaurants that do not usually offer deliveries, is perhaps more of a factor in allowing Just Eat to enhance its market position. However, criticism regarding the structure of the marketplace persists, and more importantly makes a lot of sense. The argument is that Just Eat has been allowed to fundamentally position itself between the food outlets and the consumer, with it being suggested that the merger will only enhance the company’s aim of being the go-between between consumer and food outlet. This dynamic will fundamentally disadvantage the food outlets that either a. are working with Just Eat but will be susceptible to price increases for Just Eat’s services, or b. are operating independently and being forced out of the marketplace based on their inability to compete with the marketing and spending power of Just Eat. It is likely, upon reflection, that the process of ordering food online will become central in the modern environment and, as such, a vast proportion of the population will be forced to engage with Just Eat; therefore, the alteration of the method of business in this particular market is being actively defined by the policies of the CMA. Ultimately, the CMA is a vital component of the regulatory framework in this country, with each jurisdiction competition-related authority also proving to be central to their relative framework. It is acknowledged that this should not be surprising to readers, but providing an overview of just some of the cases that the CMA is currently dealing with, together with a review of the different complexities that go with each case, provides just a small insight into both the importance of the organisation, but also the impossibility of the task it faces. It must, at once, consider the effects on consumers, upon the rival business and the specific marketplace, upon the wider political arena, and also the actual structure of business within a particular field in the present and distant future; when it is listed, it can be seen that the CMA has a remarkable task. In terms of the current environment, the CMA has an additional aspect to consider, and that is that businesses will be looking to reorganise and protect their positions within their given markets because of the vast and increasing amount of uncertainty in the current era, which means that the expertise of the CMA is likely to be increasingly called upon the near future. Considering this, and then considering that its budget stands at a very modest £65 million, leads one to suggest that there may need to be an extra capitalisation of the budgets of these central components of the framework (like the calls of Financial Regulation Matters and others to further support the Serious Fraud Office, for example); whether these extra resources will be forthcoming is another story entirely however, because as the country hurtles towards the economically-uncertain cliff edge that is Brexit, calls for the increased funding of regulators to constrain economic activity will, in all likelihood and rather unfortunately, fall upon deaf and short-sighted entities. Today’s post looks at the story of the ‘fearless girl’ statue that was erected directly opposite the famous ‘charging bull’ on New York’s Wall Street, and the news today that the asset-management company behind its creation have agreed to pay a settlement fee of $5 million to settle ‘federal allegations that it paid female executives less than their male counterparts’. Whilst one may suggest that this chain of events is ironic, it is put forward here that what it actually represents is an accepted understanding on behalf of those in power that the public can be easily swayed, as long as the right people fight for the powerful (whether knowingly or not). 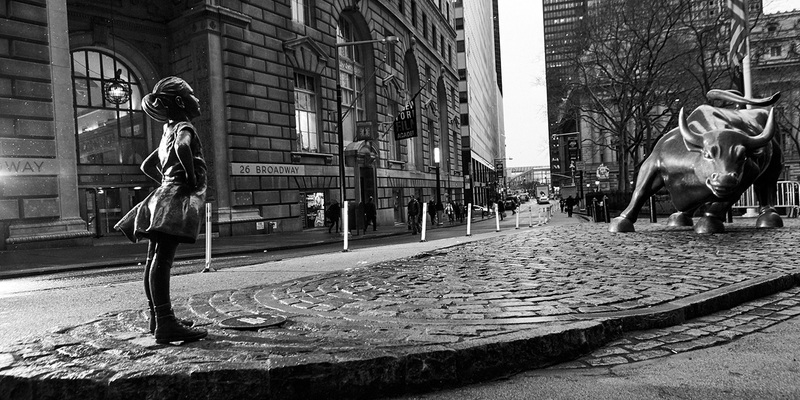 In reality, the fearless girl statue, which stands as a symbol of defiance and the demonstration of equality, serves to mask systemic inequalities between men and women, and between different ethnicities; unfortunately, even ardent supporters of the public’s cause have fallen foul of this symbol-driven misdirection. Rather than immediately jump straight into the news story, it is worth discussing the rationale for this post. Senator Elizabeth Warren, the Democratic Senator for Massachusetts, posed with the statue in April of this year and this piqued the interest of this author, and these concerns were confirmed today with the news that the sponsoring company are settling with the U.S. Department of Labor regarding their systemic approach to paying males more than females. Warren’s initial post via Twitter was accompanied by the caption ‘fight like a girl’ which was, no doubt, intended to inspire an element of continued resistance against the equalities that are woven into the fabric of society. At this point it is worth mentioning that it is absolutely acknowledged that Warren is a prominent figure in the fight against Donald Trump’s Administration and its effect upon American society, and the attacks on her and her ancestry that she is enduring is proof that she is making an impact against the Administration. So, this post is not an attack on Warren – quite the opposite, in fact – but in reality her association with the statue reveals a trust in certain elements of society that lessens her impact, not increases it. The asset-management firm behind the statue – State Street Global Advisors – were hardly ever likely to be the champion of gender equality owing to their profit-first subscription, and in falling for what has to be described now as a ‘gimmick’, Warren has done herself and the gender equality cause no favours. However, this is not to lay the responsibility at Warren’s door only because of her gender, it is because of a. the message she sent with her tweet, and b. her position of influence; the same charge is levied at Mayor Bill de Blasio who has done exactly the same thing. The investigation into State Street found that its female executives were paid less base pay, less bonus pay, and less total compensation than their male counterparts and that this, upon review, was systemic within the organisation. Although the company have suggested that they disagree with the investigation’s findings and have settled to come to a resolution, the investigation’s conclusion that the company must pay 305 female executives and 15 black executives speaks volumes. When the fearless girl statue was first erected, the firm stated that she was there to ‘celebrate the power of women in leadership and to urge greater gender diversity on corporate boards’, with the statue placed to coincide with International Women’s Day. However, the reality of the situation is that the company have generated over $7.4 million in free marketing, which clearly then offsets any effect of today’s settlement. Furthermore, it is being reported that on no less than 12 occasions recently, the asset-manager has voted against companies it is invested in from disclosing the pay gaps between men and women, meaning that Alphabet, Wells Fargo, Bank of America, and many others have been spared from explaining themselves over what would have been, almost certainly, disclosures revealing inequality in pay. The issue of pay inequality has been covered here in Financial Regulation Matters before, and in reality is no secret to anyone. Therefore, rather than present a whole host of information, just some representative points are needed. For example, in the U.S. the Institute for Women’s Policy Research (IWPR) has stated that Women are paid 20% less than men for the same job, with the Institute noting the debate about when pay equality will be witnessed – some say soon, based upon the supposedly changing nature of society, some say as far as 2152. Accordingly, the U.S. Senate Joint Economic Committee concluded that women earn 79 cents for every dollar that a man earns, with their annual median earnings being more than $10,000 less; this is also confirmed by the Census Bureau. Recently, in the U.K., the pay disclosure of the BBC has brought to the issue to the fore again, with it being revealed that in that particular institution Women earn 9% less than males. In FTSE 100 companies, female staff are paid, on average, 33% less than males and their bonuses are up to 66% less. Additionally, and this should go without saying, the situation is much worse for non-white women, with the IPWR suggesting that black women will wait until 2124 and Hispanic women until 2248 for pay equality. In terms of ethnicity, the income of predominantly black or Hispanic households in the U.S. has been declining, and recently at an accelerated pace, whilst in the U.K. recent studies discuss how even graduates from non-white backgrounds are disproportionately without opportunities upon graduation, with BAME graduates 12% less likely to be in work upon graduation, and twice as likely to be in low-paying jobs upon graduation when compared to their white counterparts. So, what is the point? We should all be well aware that there are massive, unjustifiable gaps in the amount that different classifications of people are paid for the same job, so the above should not be surprising. What is the point, though, is that symbolism needs to be acknowledged as a tool for directing public opinion, as is acknowledged within the literature, and that Public guardians like Senators need to be much more careful with what they attach their authority to. Before posing with the statue, which was created by a department that has clear links to the PR industry, it would have been advisable for Senator Warren to look at the company and their record for promoting the interests of women firstly, and other people who are not represented within the company’s power structure. But she did not do this, and posed with the statue anyway, thereby contributing to the PR stunt of a company that is actively working against reducing the pay inequality between men and women. Did Senator Warren do this on purpose? There is absolutely no suggestion here, or anywhere else, that this is the case, but that is missing the point. What would have been a much more powerful statement than ‘fight like a girl’, would have been for the Senator to publicly lambaste the company for its record, challenge its PR strategy, and bring to light in issue that is being buried with every selfie and every ‘share’ on social media. To promote this issue on social media is not progressive, it is actually regressive, and with the influence that Senators and Mayors wield, inequality like that experienced by women or non-white people will only ever be reduced when those in positions of influence act against those facilitating that inequality directly; accepting things at face value will only ever have one outcome – the same outcome as before. Keywords – Gender inequality, pay inequality, inequality, fearless girl, Senator Elizabeth Warren, State Street, Public Relations, @finregmatters. Today’s post aims to present somewhat of a round-up of a number of pieces of news coming from the Airline industry in recent weeks (and months) because, recently in particular, the divergence between those in the industry doing well and those that are not seems to be growing at a particularly rapid rate. Recently we looked at the trade battle that is developing between Boeing and Bombardier, but in this post the focus will be on the recent collapse of Monarch, Air Berlin, and the troubles at Ryanair, although it will be discussed that not all airlines are feeling the heat in this marketplace, with certain players making significant moves to take advantage of their competitors’ downfall or change in strategy. Firstly, the two stand-out stories from the airline industry are worth analysing because the effect that they are having will be felt for some time. In August of this year, Air Berlin filed for bankruptcy after its leading shareholder, Etihad Airways, withdrew financial support for what was then Germany’s second-largest airline. This was Etihad’s second withdrawal from the European airline market in the space of a year, leaving the Italian airline Alitalia with no alternative but to file for bankruptcy as well. With regards to Air Berlin, it is being reported today that 1,400 of their employees, those who have been retained as the airline is carved up amongst its competitors, are being threatened with dismissal, with all of the carrier’s ground staff being relieved of their posts by the end of this month. As for Alitalia, the carrier is still being carved up, although the rumoured takeover approach from Ryanair last month may be some way off given Ryanair’s current issues, which we will get to shortly. However, for some, the fall of these regional carriers is a consequence of overcapacity, and their failures offer an opportunity to reduce the negative externalities that result from the fragmented European model, although the proponent of this view is the person who will likely benefit the most – Lufthansa CFO, Ulrik Svensson, stated that ‘all forms of consolidation are good’. If Svensson’s analysis is correct, that ‘current developments in Europe are also a positive sign’, then the recent failure of Monarch airlines will only embolden his claim. Monarch Airlines, a company which has been providing air travel since the late 1960s, collapsed dramatically earlier this month, leaving thousands of passengers stranded abroad. It has been suggested that the Government, along with the Civil Aviation Authority, had to return over 11,000 stranded passengers, although other sources suggest that the combined total was more like 23,000 at a cost of £60 million – the move is being labelled as the U.K.’s ‘biggest peacetime repatriation’. It should come as no surprise then that there is a lot of anger surrounding this collapse, with many questioning why the British Government did not ‘prop up’ the airline like the German and Italian Governments have done with Air Berlin and Alitalia (which continue to fly on ever-reducing schedules). However, the business reality is that Monarch was failing for quite some time, and the impact of Brexit and the impact of terrorism upon tourism played crucial parts in the demise of this near 50-year old airline. The consolidation that Svensson mentioned is going ahead at a rapid pace, with larger carriers enveloping the assets of these failing airlines, airlines which have been argued were primed for failure and may, according to best estimates, be the only ones to suffer that fate. This is because other airlines are better protected against the variances within the tourism and energy sectors, although that does not tell the full story, with one established member of Europe’s airline fraternity suffering from major internal issues which are affecting both their operational standards and their PR profile. Ryanair, operating since 1984, has risen through the industry so that it now stands as Europe’s largest carrier, carrying over 116 million passengers every year. However, Ryanair has been making the headlines recently because of the recent spate of cancellations that resulted from the firm ‘messing up’ with the planning of their pilot’s holidays. According to reports, the firm could face a £18 million compensation bill which will likely grow seems as the airline ‘plans to cancel 40-50 flights every day for the next six weeks’. The disruption, however, has brought to light a number of problems within the firm between it and its pilots, with one pilot describing the company as being run like a ‘communist regime’. In order to attempt to soothe these concerns, supposedly beleaguered boss Michael O’Leary has recently written to pilots suggesting that the firm will increase their pay beyond that of their rivals, and also offer better job security, apparently to no avail. What effect that this current crisis, of sorts, may have upon the alleged deal for Alitalia will be interesting to monitor, but it is also worth noting that not all of the airline industry are suffering. At one end the very smallest of firms are doing very well in and around Europe, whilst EasyJet today announced that its full-year profits will meet or exceed forecasts, although this was tempered with the caveat of the effect of the Brexit-induced collapsing of the Pound. Norwegian Airlines, who recently launched their new long-haul services from London, flying to new destinations like Singapore and New York for a fraction of their competitors’ prices. Also, there are new entrants to the business at the top table, with new, more economical jets being commissioned for the larger airlines like British Airways. So, whilst the airline industry is experiencing mixed fortunes, the effects may be significant, depending upon one’s perception. Whilst ‘consolidation’ helps the larger market players face less uncertainty within an already crowded marketplace like Europe, the reality is that less competition in this particular sector will usually result in increased prices for consumers, with the more consolidated American sector proving that correlation in recent times. However, whilst the prices for consumers are important, the working conditions of staff in a more restricted marketplace are of more concern. The treatment of Air Berlin staff is an issue, irrespective of the financial position of their employer, but Ryanair’s treatment of its pilots raises serious questions about the employment standards in an industry that the public put their safety in the hands of every day. The development of the stand-off between Ryanair and its pilots will be important to monitor, because the result is that Europe’s largest carrier is also the host of legions of disaffected, overworked and underpaid pilots and staff, which has a number of massive ramifications. As the industry heads towards ‘consolidation’, the usual effects of ‘consolidation’ need to be remembered, because it is usually the public that pays the price. Labels: @finregmatters, Air Berlin, Airlines, Alitalia, Bankruptcy, Business, EasyJet, Employment, Monarch, Pilots, Ryanair, U.K.